The genesis of BullRed Clothing was really rather simple. I was attending a baby shower for one of my friend’s daughters, and it came to me what a neat present an infant fishing shirt would be for the newborn. 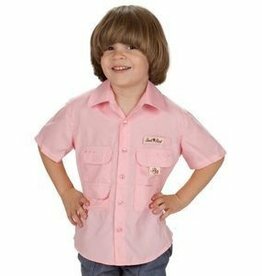 By way of background, we live in the Texas Gulf Coast area, and virtually every one of our male friends(and many female ones), wear fishing shirts made by various manufacturers. When I looked into purchasing an infant fishing shirt, I found that none of the manufacturers made any. 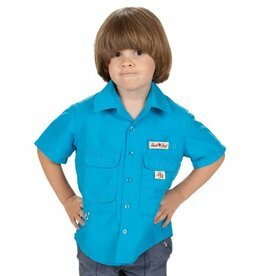 In fact, the smallest I could find from any manufacturer was a 4T. Thus, by necessity, the idea was born. 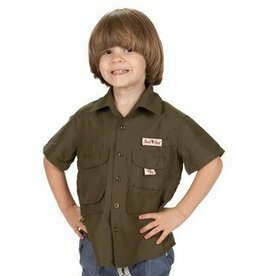 I thought if I manufactured infant fishing shirts, virtually every one of the fathers we knew, and especially the grandparents, would love to have one for their child/grandchild. How did I come up with the name of the company you ask? That too, was rather simple. I wanted the name of the company to be tied to fishing, so….since one of the favorite game fish to catch in our area are redfish, the name BullRed seemed a natural. As far as the logo is concerned, my greatest love in the whole world, with the exception of my children and husband, is my 4 year old English Bulldog named Kirby. The logo is a picture of Kirby’s face on the body of a redfish. There you have it…..the birth of BullRed Clothing, Inc. So welcome to BullRed Clothing……we hope you find something here that you like. 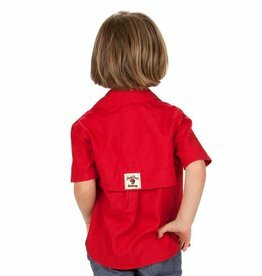 I guarantee that your child/grandchild will look precious in our infant wear!